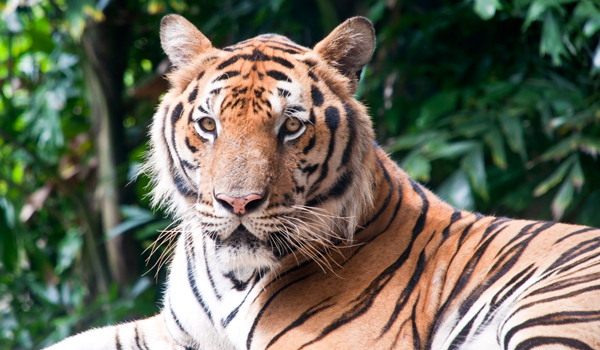 Few experiences match the thrill of tiger tours in India – and spotting the big cats prowling their territory in the wild. For visitors hoping to have a brush with these incredible animals, there’s good news: now is the best time in years to schedule your next wildlife adventure. The bulletin has just come through: in the wake of concerted, multi-pronged conservation efforts, India’s native tiger population has soared by 30%, with the 2014 census estimating 2,226 wild tigers currently living in India (up from 1,706 in 2011). Current predictions forecast that the population will only continue to grow, making this the perfect moment to plan your next Indian safari break – and hopefully spot majestic Bengal tigers on the prowl. 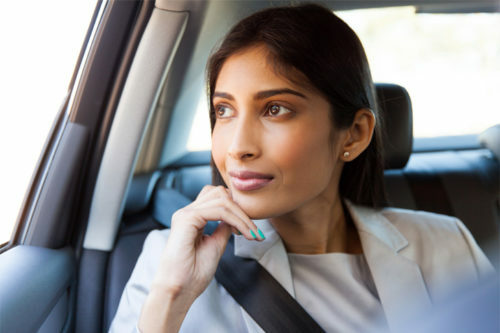 Of course, tiger tours in India should ideally be matched with a fair bit of pampering. As Greaves is a member of TOFT – Travel Operators for Tigers – we’re uniquely positioned to recommend some of the best safari lodges in the country. At these high-end nature retreats, you’ll go on treks by day – and can relax with all manner of luxurious amenities by night. One of the best places to see tigers in India is Madhya Pradesh: the second largest state in India by landmass and full of lush jungles and natural parks, it’s a tiger spotter’s dream destination. 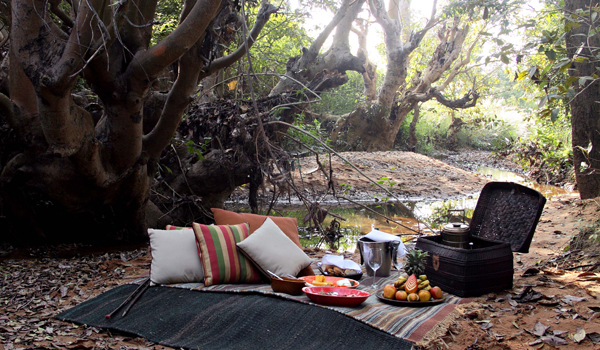 For heightened luxury – and personalised safari itineraries – Taj Safaris are incredibly popular. 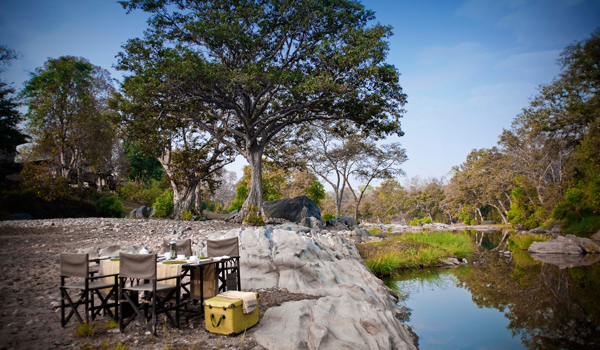 With camp locations in four of the state’s national parks (including Bandhavgarh, Pench, Kanha, and Panna), the luxury lodges submerge guests in verdant nature, with jeep tours providing personalised, in-depth access to the parks. Beyond Taj Safaris, there are other plush accommodations in Madhya Pradesh for would-be tiger spotters. Samode Safari Lodge is also located in Bandhavgarh National Park; host to 12 independent villas, it guarantees guests privacy as well as pampering (the on-site spa and dining options are also certain to help jungle explorers unwind after a long day of trundling through the foliage). And, while it’s technically located across the border in the neighbouring state of Maharashtra, the Svasara Jungle Lodge is another excellent option for those going on tiger tours in central India, located as it is within the Tadoba-Andhari Tiger Reserve. Gazebos, personal verandas, air-conditioned suites, and expert guides all add to the experience. 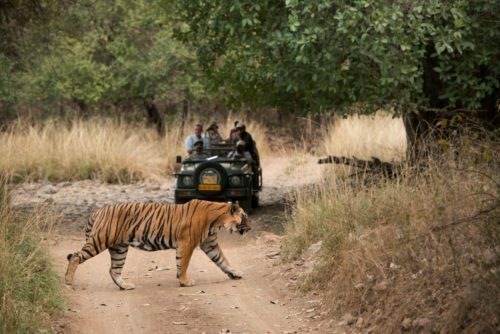 Another essential stop for those on tiger tours in India is Ranthambhore National Park, located further north in Rajasthan. 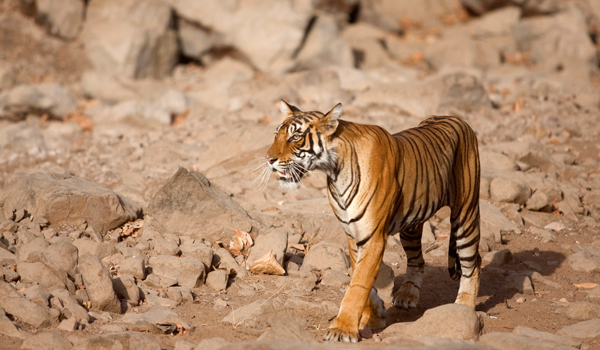 Home to one of the greatest concentrations of wild tigers in the whole country, sprawling Ranthambhore stretches for almost 400 square kilometers. 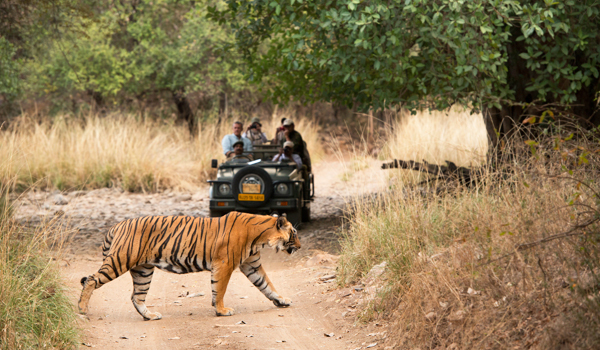 It’s not surprising, then, that Ranthambhore is also a top destination for luxury nature lodges. One of the best is the Oberoi Vanyavilas, located right on the edge of the park and occupying 20 acres of lush jungle landscape. Visitors stay in climate-controlled private tents (equipped with air-conditioning and Wi-Fi, naturally), while days are spent on jungle excursions. Also located in Ranthambhore, Aman-i-Khás (a high-end retreat that offers twice daily tiger viewing trips) and Sher Bagh (a Relais & Chateaux tented camp complete with fire pit and plunge pool) offer other excellent hospitality options. It’s certainly the occasion to celebrate India’s soaring tiger population, then. At these environmentally conscious, lush retreats, guests will get their fair share of wildlife – as well as jungle-style luxury.